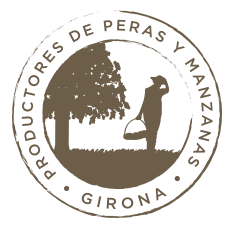 We are a family company and have over 40 years of experience dedicated to fruit production (pears and apples) in the province of Girona. We elaborate Anela Fruits 100% natural fruit desserts from our own home-grown fruit. Producing our own fruit means that quality control and traceability start at source when the fruit is still on the tree so we can offer a high quality product of which we are extremely proud. Our enterprising spirit led us to think about a different and innovative way of eating fruit. We wanted to create a product which adapted to the life of our consumer; people leading a busy dynamic life but who are unwilling to neglect their health or healthy eating. The desserts were created founded on two basic ideas: to make eating fruit easy and to guarantee a 100% natural product. This excellence of quality was recognized in 2006 when we won the prize for Technological Innovation in Agriculture awarded by the Autonomous Catalonia Government. Anela Fruits began as a small family company and while we have grown to say that we have kept the family spirit alive. We are proud of our reliable, multifaceted team of professionals and it is through their dedication and effort that the company continues to grow.